The Cook Inlet CADA website went live on the 18th January, 2018. A big well done to all the team there who worked hard to make this a big success. This site is a good example of our NCADD Affiliate package which we offer to all similar Not for Profit organizations. The site offer in page editing for easy updates and additions as well as the new blog package which provides a quick way of the group posting their news and managing the e-mail list.. 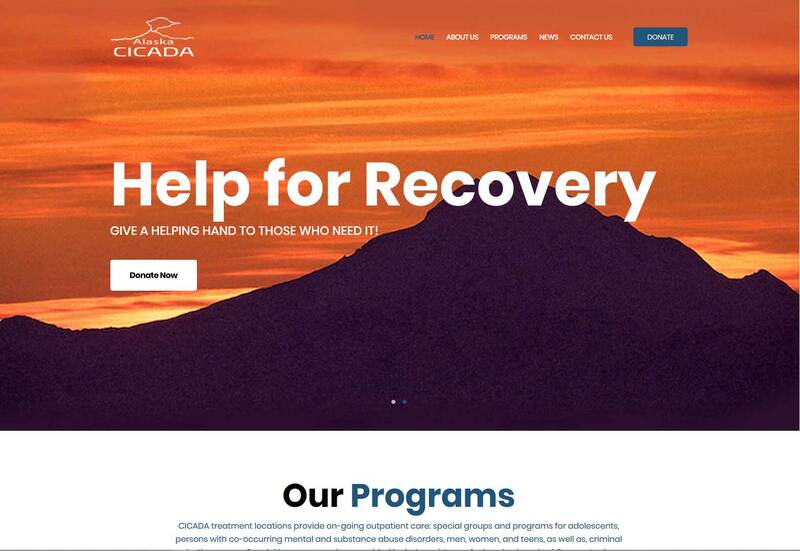 There are live feeds from the National site providing the automatically updated homepage "national News" and Addiction Update.